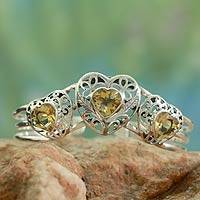 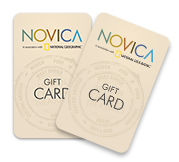 NOVICA's Cuff Jewelry is an eclectic collection of hand crafted bracelets designed to dazzle. 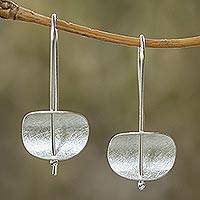 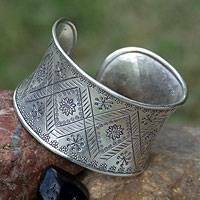 Cuff bracelets are one of the earliest forms of jewelry worn by humankind – stylistic and artful, it’s no wonder wearing cuffs is a trend that has survived the passing of time! 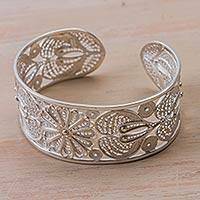 Hill Tribe 950 Silver Cuff Bracelet, "Sunflower"
Stylized sunflowers glow with beauty on a fascinating bracelet. 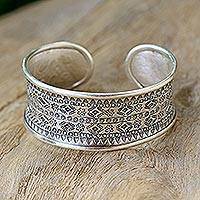 Achara adapts design motifs from Thailand's hill tribes for this wide cuff. 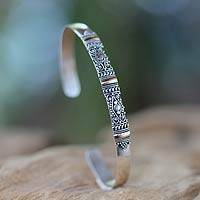 The motifs are carefully engraved into the 950 silver band. 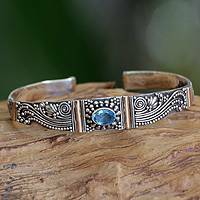 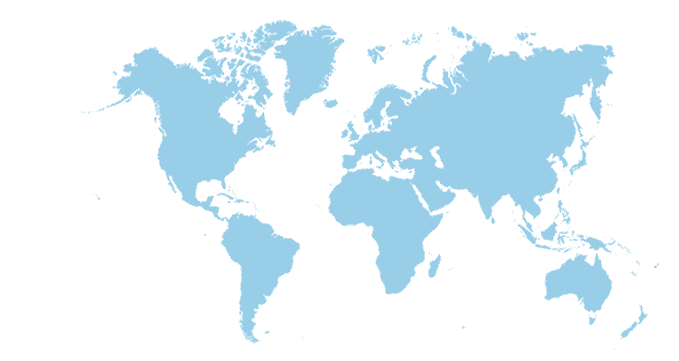 From the hills of northern Thailand and the deserts of India to the beaches of Bali and the mines of Taxco; from the snowy mountains of the Andes to the West African savannah, cuff bracelets are a testimony to an artisan’s unparalleled creativity. 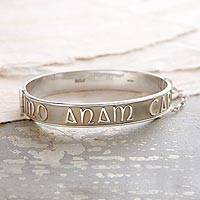 Sterling silver cuffs are to be admired across the continents, each culture’s artistry engraved with masterful finesse. 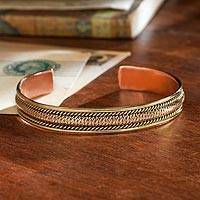 Leather cuffs accessorize with bold elegance while woven cuff jewelry comes to life with gemstones ever so bright!